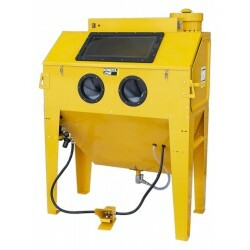 Sand blasting cabinet for professional/hobbyist. Nova SBC-350 sand blasting machine is a top quality professional tool. 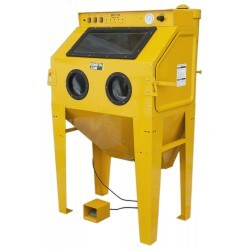 DeLuxe sand blasting cabinet for professional use. Three openings makes it easy for part inserting. Very powerful tool. This one has size! NOVA SBC990 features a large front door for easy loading and unloading. Easy to use solution e.g. for bigger rims.